What happens when you hear a pop and the concrete becomes loose and has no cement? Routine maintenance is required on all machines, and replacing the shear pin is one of the items that will need to be replaced. What is wrong if the conveyor will not run and seems to be stuck? 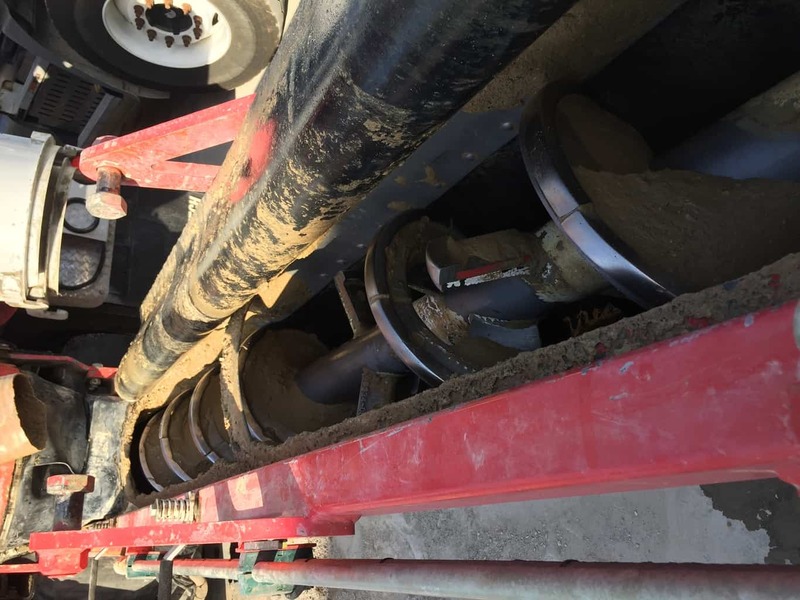 When this happens, check to see if the cement transfer auger is plugged with cement buildup. The auger runs with the same hydraulic oil that is used for the conveyor, and if one motor does not run, the other will not run. Clean the discharge spout to see if that fixes the problem. Another cause can be if the conveyor system has become too loose and the chain catches on the front chain rail. Run the conveyor backwards to release the chain from the rail and then adjust the conveyor tensioners. Make sure to tighten both sides equally. How do you set the gates for a mix? Calibrate the machine to ensure it’s set up correctly. 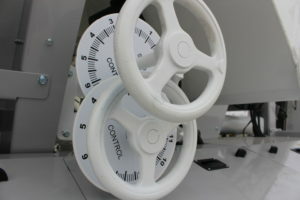 If you do not know the correct settings for a mix, one of Cemen Tech’s customer service representatives can help you. Refer to the O & M manual for calibration instructions. Cemen Tech recommends using an independent concrete lab to test the strength and quality of the mix. Why is the conveyor spilling sand or stone under the truck? When sand or stone spills, the material side guides need to be adjusted or replaced. These guides prevent spillage and keep the aggregates on the belt system. When you adjust the guides, be careful not to make them too tight; there must be an air gap between the guide material and the belting. Units that have the guide material setting at a 45-degree angle have no adjustment to the guide rubber. You will need to replace the guide material. Along with the material side guide, units have a belt wiper at the discharge end of the swivel hopper. This wiper must be tight against the conveyor so that it can wipe the belt clean and not carry materials under the truck. Front wipers lie on top of the belt after it has rounded the front idler sprockets. If this wiper is damaged, material will spill off the belt when it’s being driven down the road. 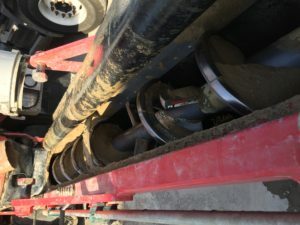 When should wear blades on the mix auger be replaced? Make sure the blade does not wear pass the bolt hole that holds the blade to the flighting and mounts. If the blades are worn to within 1/8” of the counter sunk hold on the face of the wear blade, then they need to be replaced. Be sure to watch the first half of the auger, as it will have the most wear. The discharge blades may last twice as long as the first half because once the material is mixed together, it is less abrasive and wears less on the blades. When replacing the blades, over tightening the bolts can cause them to crack. Make sure you use the spacer washers between the blade and flighting. What mix angle should the mixer run? The mix angle directly affects the quality of the concrete. Mixers need to run at a good mix angle for retention, with an ideal angle of 25 to 30 degrees and no less than 15 degrees. The higher the angle, the longer the retention of the concrete and the better the mix. If you can see the concrete rolling back in the hopper, you know the mixer is set at a good angle. If you look in the hopper and see no rolling, then rise the angle. If the mix continually backs up in the hopper, lower your angle. Longer retention in the mixer will help admixtures have time to react, will help stop any fails set in the concrete and will help with reducing bleed water. Have more questions? Check out our Most Popular Questions section, call 800-247-2464 or fill out a Contact Us form and we’ll get your questions answered fast! PreviousPrevious post:10 Reasons To Add Volumetric Mixers To Your Concrete Delivery BusinessNextNext post:How Much Does A Mobile or Volumetric Mixer Cost?